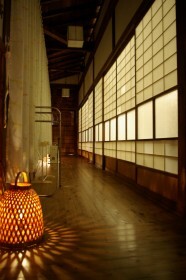 [One day trip bathing] Adult [ of 700 yen ], and child of 300 yen 10:00 - 16:00 * There is no family bath of an one day trip. 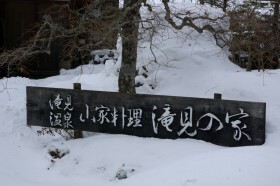 Char with the sufficient vigor to the restaurant and live-box in which a store is established swims in the mountain in Nagiso, and a guest room building is built in Ikenoue.It passed along the front repeatedly and could not be in not holding interest in the store of the Yamaga dish which stands in this personality case with a hot spring.When I saw you several years after the wide swing several times, he heard that the inn of lot limitation was begun on the first, and I looked at the waterfall on the day of summer, and received the hot spring instantly.Probably because business was done in a small way, the bathtub of the Kiso hinoki structure also had the fresh feeling to touch hot water, and the smooth hot spring of the alkaline spring was very satisfactory.If it visits anew, the natural forest at the foot of Mt. 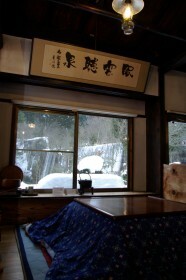 Nagiso which competes for a crown will approach the back of an inn, and it will give the deep nature which is there immediately.The beam of the ground to the extent that it is full of warmth of pure Logs, such as a floor of a pallet, a ceiling of cedar bark tension, furniture, and a screen, especially the sunken hearth restaurant of a structed-by-Japanese-cypress structure exceeds a 45cm is passed, and the highlight and the main prejudices are felt.Please get used to the treatment of fire which enjoys a hot spring by an only 1 guest for the day, and surrounds a furnace by a Separate from main, as for the cooked in a pot concerning a free key, release steam hotly, and enjoy a long night in the inn which can be called a lodge not known in public char and the skewered rice-cake with sesame, miso or soy sauce which are roasted over distant fire are fragrant, and very full-scale [ a skewered rice-cake with sesame, miso or soy sauce ], and true. 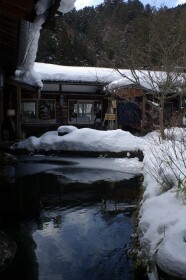 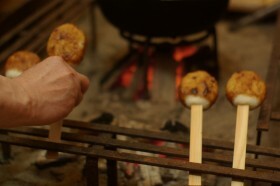 * It is also the plan of fishing with the time of a thaw to a live-box. 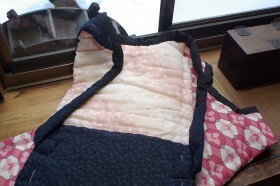 Sale with the loan of a "cat" handmade in the woman of an inn is also 2000 yen and 2500 yen. 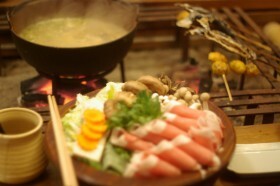 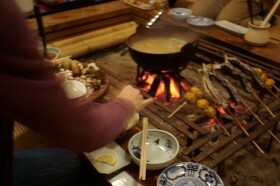 A cooked in a pot and char are also the manes of an horse all year round on that day in wild grass, the Natsukawa fish, the Aki matsutake, and winter in spring. 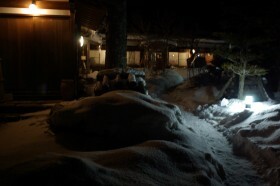 At the time expectation filled my heart. 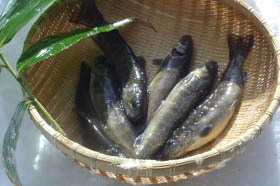 Foods: Wild grass river fish does not reach for saying, but sky sun curing of the rice is carried out, and, as for vegetables, family differ in the taste of private cultivation and pickles with organic no agrochemicals. 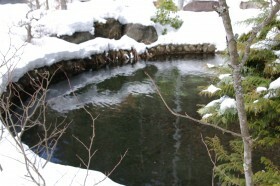 They are a good-location-to-see takimi open-air bath and a Separated by gender about the waterfall of an Araragi-river ravine. 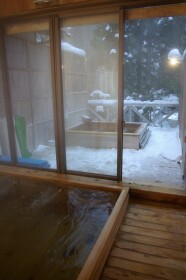 Since stopping is lot limitation, you can use it as a family bath on the first. 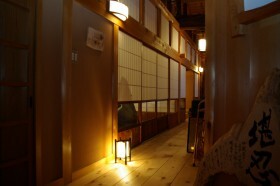 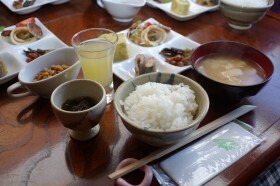 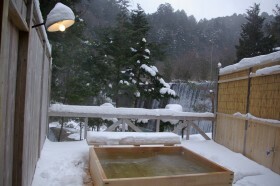 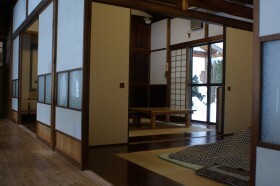 Even for recommendation and 10 persons, even between one-day lot limitation and Japanese-style room 2 and 8 persons are.